As a Beame customer, you may have come across our brand slogan – tracking. Simply sorted. These words capture the core role of our business, ensuring that your stolen vehicle recovery needs are always taken of and that you have the support you need when your vehicle or moveable assets are stolen or hijacked. But, if you are not completely convinced? 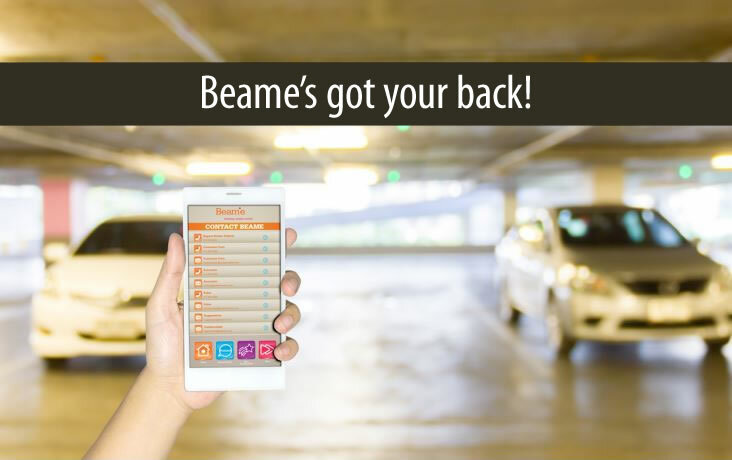 Meet Patrick Tillman – a Beame customer who recently experienced first-hand how Beame takes care of all your stolen vehicle recovery needs. In December 2016, Patrick’s car was stolen while parked outside his house. Once Beame was alerted of the stolen vehicle, the Beame recovery agents, together with the South African Police Service (SAPS), worked tirelessly to recover the vehicle that was located in Orlando, Johannesburg. However, this was not the end of Patrick’s stolen vehicle experiences. Less than two months later, thieves targeted his vehicle again, outside a local Johannesburg rugby club. Given the previous successful recovery, Patrick knew that his vehicle would be recovered as speedily as possible. Once again, the Beame recovery agents partnered with the Parkview SAPS, and the vehicle was recovered within 40 minutes. “During both encounters, the interaction between the police officials and the Beame recovery team, stood out for me. Despite being faced with an extremely stressful situation, this effective interaction alleviated the panic and the emotions that I was experiencing after learning that my car was stolen – not once, but twice,” says Patrick Tillman, longstanding Beame customer. Having your vehicle stolen is always an unexpected and unpleasant experience. It is vitally important that during times like these, you have the full support of your stolen vehicle recovery service provider – to help simplify the process of locating your vehicle and giving you peace of mind that your vehicle will be returned to you. Just like Patrick, you can rest assured that we are driven by our brand slogan and will go above and beyond to meet your stolen vehicle needs – just as you would expect of us!